Inspired by mid-century modern silhouettes, the Largo Chandelier will bring a retro glamour to your home interior. 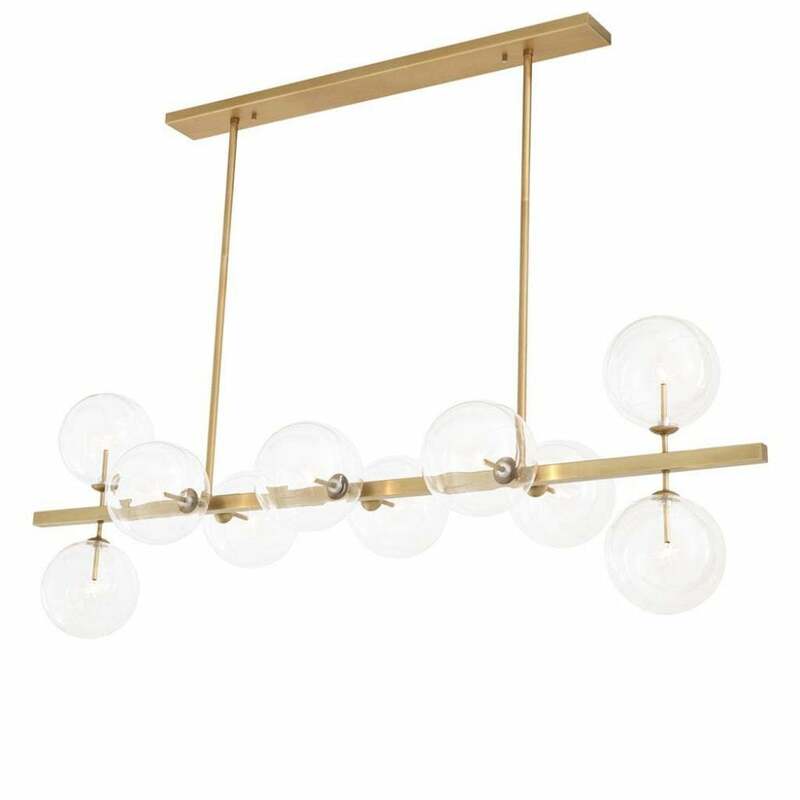 Part of the popular lighting collection by Eichholtz, this contemporary chandelier features a symmetrical design with ten, clear glass, spherical globe diffusers. Choose from either antique brass or nickel finish framework to complement your furnishings and fittings. Largo will create a statement focal point in a living room or over a dining room table. Spanning a total width of 1.6m, this beautiful chandelier will also work beautifully in a narrow hallway or entranceway to add personality and ambience to a minimal space. Make an enquiry for more information.